Mid-American Union elects new executive secretary » On Thursday, the Mid-America Union Executive Committee met. It was a productive meeting where ministry reports, financial reports and future plans for the direction of our Union were discussed. One of the most important agenda items was the election of a new Union Executive Secretary. The need for a new Executive Secretary arose because last June the Central States Conference elected Maurice Valentine, our former Executive Secretary, to be their new president. Gil Webb from the Central States Conference was given an official call to fill the position. Webb comes with a rich pastoral background, having served in numerous districts throughout the Central States Conference. He has also served in the Central States Conference Headquarters as a departmental director. 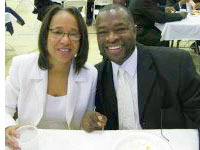 Currently, Webb is pastoring the Linwood Boulevard Seventh-day Adventist Temple in Kansas City, Mo. Webb is now praying and considering the invitation. To read a short bio on Webb, please click here. 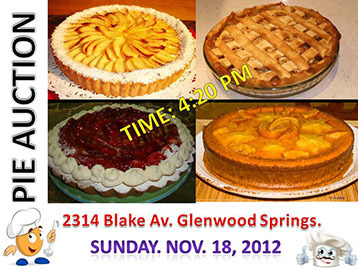 Columbine Christian School holds Pie Auction » I received the following note from Pastor Ruddy Vivanco about an upcoming, tasty event for our school in Glenwood Springs, Colo.! If you’re in the area, drop and support this event. I’m sure they would love to have you come. Union College science/math building project progresses » While I was in Lincoln, Neb., this week for the Mid-America Union Conference Year-End Meetings, I drove by Union College to see how the new science/math building project was coming along. To my surprise, much progress has been made since I was last there in October. They are currently on schedule to be in the new facility by January 2014. What a blessing it will be! AdventSource prepares to occupy new facility » For many years, AdventSource has been located on the Union College campus. AdventSource is constructing a new building for their ministry on the southeast corner of the Union College campus, and plans to move in to the new facility this December. This ministry provides resources and services for churches, schools and lay persons all across the North American Division — from Pathfinder badges to webpage design and support for our churches and schools. AdventSource also provides a great ministry and work opportunity for our students at Union college. Due to the wonderful growth in the Physician Assistant program at Union College, the space AdventSource has rented from the college will be remodeled and used as classroom space for both the Physician Assistant and International Rescue and Relief programs. Robert Folkenberg Sr. comes to Wyoming » This Sabbath, Robert Folkenberg Sr., former president of the Seventh-day Adventist world church, will speak at our church in Casper, Wyo. Folkenberg will remain in Wyoming until Monday to talk with our Wyoming pastors about how the ShareHim program might be a practical help for the churches as plans are developed for the Awaken Wyoming! evangelism project. Please pray for the Holy Spirit to bless their time together. Parker Adventist Hospital is in the news » This very positive article showed up in Highlands Ranch, Colo., news about Sean Sweeney, a very blessed patient who had a great experience with Parker Adventist Hospital and the Parker Adventist Hospital Foundation. He has found a way to pay it forward. I thought you would appreciate reading it. Read more. Arthur Sedillo passes away » By now, many have heard about the passing of Arthur Sedillo, (pictured above on crutches with his family). 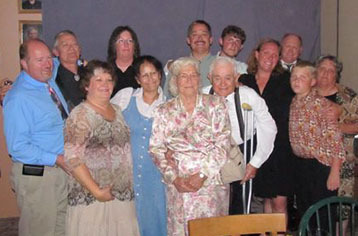 Arthur passed away on Nov. 8 at the age of 91 at his home in Penrose, Colo. He was the father of Wanda Hart, who is a valuable part of the ministry team at Glacier View Ranch. Arthur leaves a legacy of faithfulness to his family, his faith and his church. Arthur also leaves a legacy of service to our country. He was the first American soldier to set foot on Omaha Beach at Normandy on D-Day. Funeral services for Arthur were held this morning at 11:00 a.m. at the Cañon City Church. As a church family, let’s remember Nora, his widow, Wanda and the rest of the family during this tender time. On the road » Today, I drive to Fruita, Colo., to worship with the church family there on Sabbath tomorrow. I have yet to worship at the Fruita Church, and look forward to being with them. Sabbath afternoon, I continue on to Casper, Wyo., to be with Elder Folkenberg and the Wyoming pastors Sunday and Monday to explore our options in moving forward the Awaken Wyoming! project. From Casper, I return to Denver on Monday. I look forward to a very special Thanksgiving holiday weekend with some friends and family. Thanksgiving is one of my favorite holidays, and I pray it will find each one basking in our Savior’s love for us. Each Thursday evening or Friday, Mark Bond, the RMC communication director, takes what I write for the News Nuggets and turns it into a colorful electronic newsletter for you to read. Next week, we will not produce the News Nuggets so Mark can enjoy the holiday with his family. Thanks, Mark, for all you do! Sat., Dec. 15 11:00 a.m.